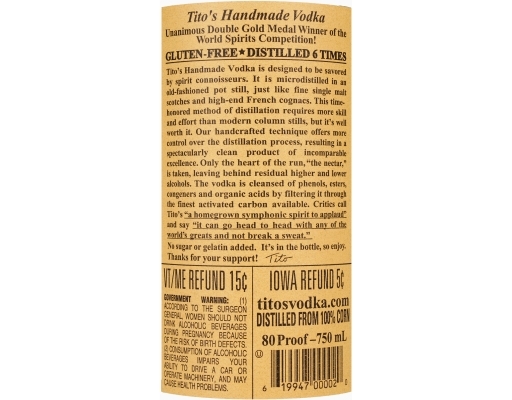 Tito’s Handmade Vodka is produced in Austin at Texas’ oldest legal distillery. Tito's makes it in batches, using old-fashioned pot stills, and taste-testing every batch. Tito’s Handmade Vodka is designed to be savored by spirit connoisseurs and everyday drinkers alike. The process, similar to those used to make fine single malt scotches and high-end French cognacs, requires more skill and effort than others, but it's well worth it. 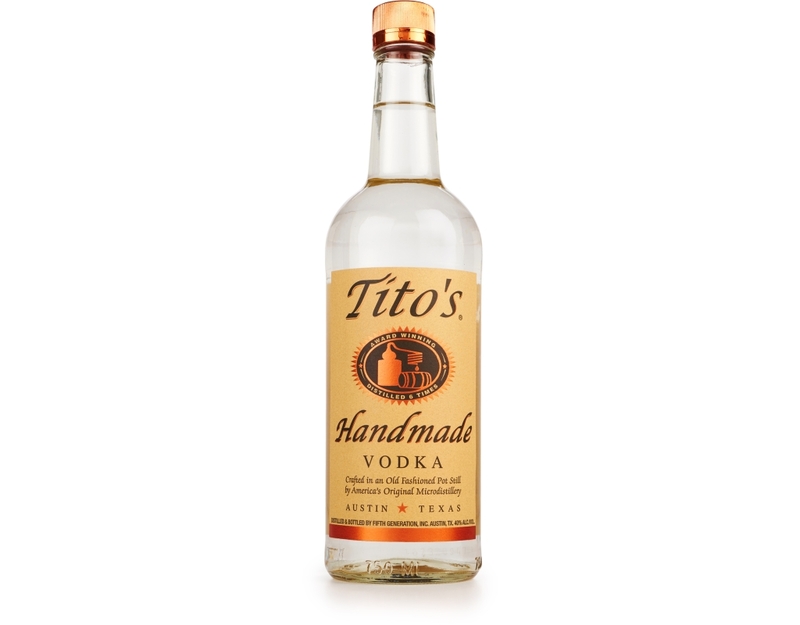 Tito’s Handmade Vodka is designed to be savored by spirit connoisseurs. 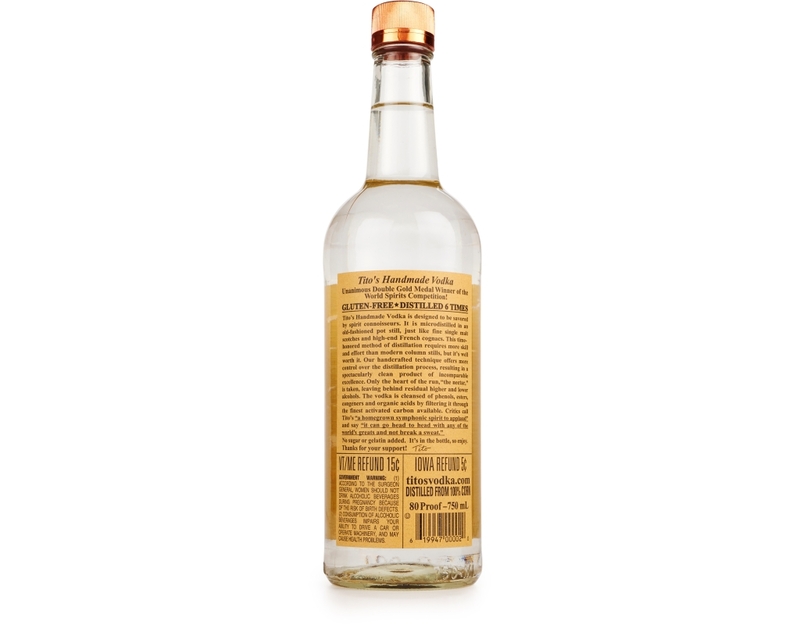 It is microdistilled in an old-fashioned pot still, just like fine single malt scotches and high-end French cognacs. This time-honored method of distillation requires more skill and effort than modern column stills, but it’s well worth it. 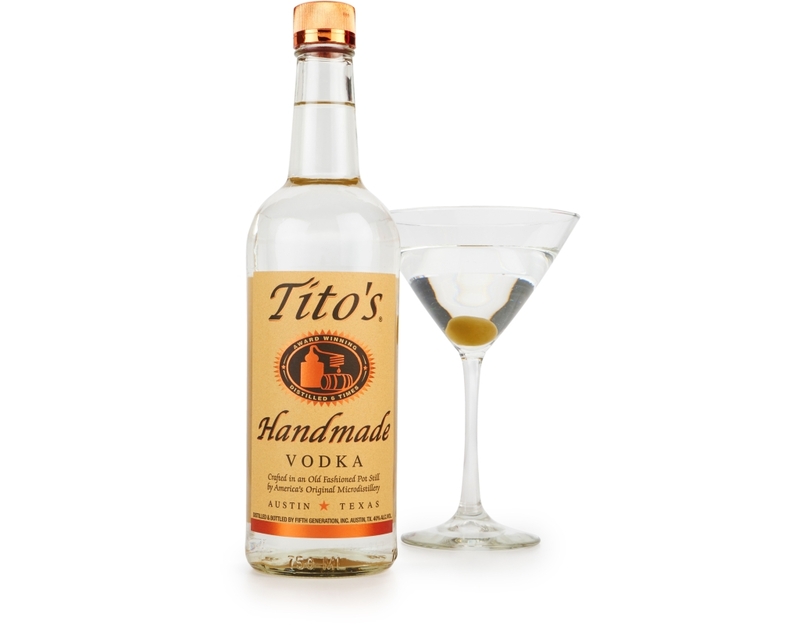 Tito’s handcrafted technique offers more control over the distillation process, resulting in a spectacularly clean product of incomparable excellence. 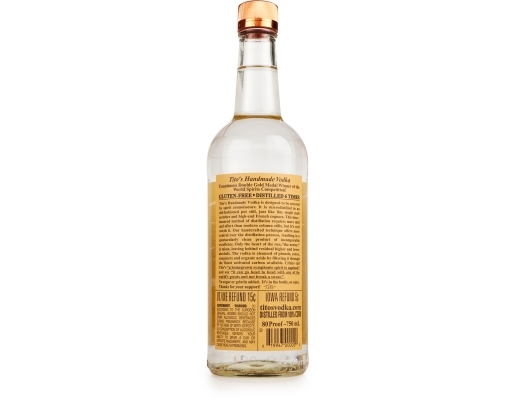 Only the heard of the run, "the nectar," is taken, leaving behind residual higher and lower alcohols. The vodka is cleansed of phenols, esters, congeners and organic acids by filtering it through the finest activated carbon available. Critics call Tito’s "a homegrown symphonic spirit to applaud" and say "it can go head to head with any of the world’s great and not break a sweat." No sugar or gelatin added. It’s in the bottle, so enjoy!